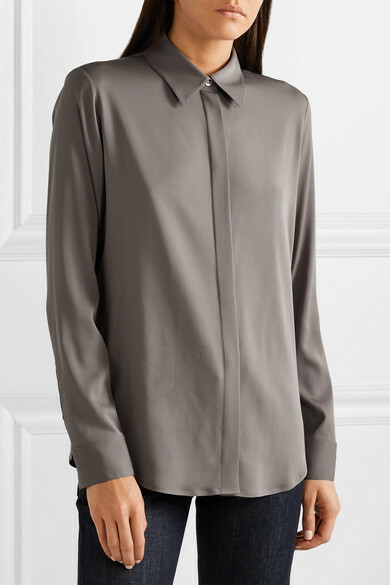 The Row's 'Petah' shirt is one of those versatile pieces that's polished enough for the office but won't look out of place on more casual days, either. 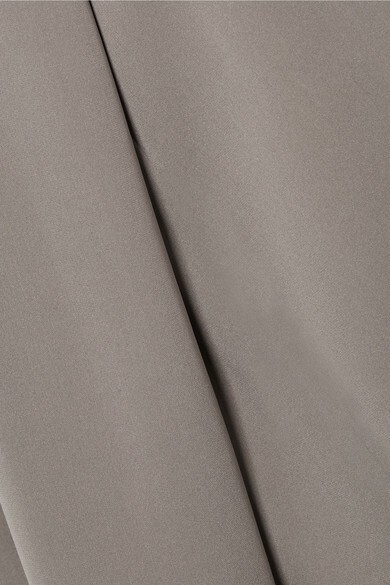 It's cut from silk-blend crepe de chine that fluidly skims your frame and has a concealed placket of mother-of-pearl buttons for a streamlined finish. 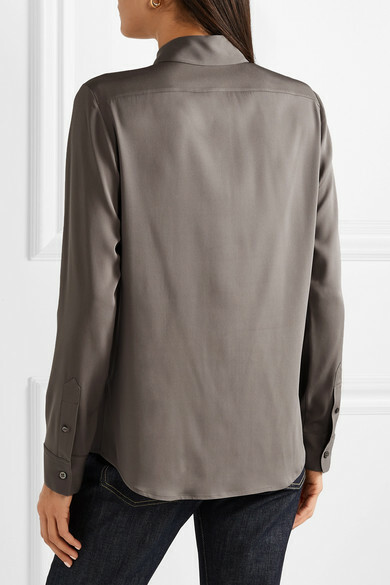 Wear it with everything from tailoring to denim. 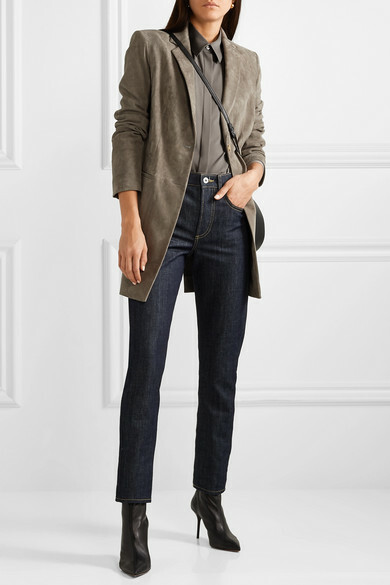 Shown here with: EVE Denim Jeans, The Row Jacket, The Row Shoulder bag, Aquazzura Sock boots, Sophie Buhai Earrings.